When your past arrest record affects your ability to work and provide for your family, can an Illinois Expungement Lawyer help clear the way? The very first step is determining your eligibility - if your criminal background is not of a type that can be expunged or sealed, you could end up wasting hard-earned money attempting to do something the law simply does not allow. We'll initially base our assessment on what you tell us about your case, and once we have that information, an Illinois expungement lawyer can help you clear your criminal record. The Illinois expungement and sealing process for criminal charges has undergone several significant changes over the year, including recent changes making most felony matters eligible for sealing, and we're on top of every change. 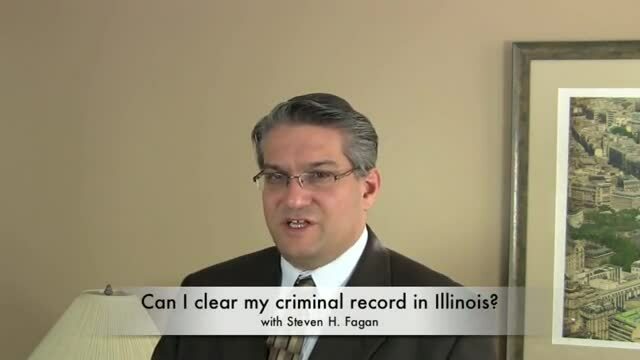 The second step in Illinois to expunge or seal a criminal record is a process that requires knowledgable and skilled counsel, because it is all about understanding the processes and procedures that are standard throughout Illinois, and specific to local courts. Knowing how expungement and sealing petitions are processed can make the difference between an efficient and effective petition, and a petition rejected for not following the rules set by the Courts. Next, the law allows the prosecutor or one of several agencies to raise objections to your petition. If they do, you have the opportunity for a hearing, where your lawyer can address any objections, or convince the Judge your petition should be granted despite those objections. Having a law firm like Fagan, Fagan & Davis, all experienced trial lawyers, is essential. Finally, once the Court grants your petition, the process isn't over. Our law firm knows exactly what to expect to see the Court order is actually given the intended effect, and doesn't simply sit in a drawer somewhere. After all, the point of this is to ensure agencies like the Clerk of Court and Illinois State Police - agencies that report your Illinois criminal background to potential employers - actually report that you have no criminal background to be concerned about. Without careful attention to this step, you'll never get that fair chance you want. If you're ready for professional help from Illinois expungement lawyers that can help you build a better life anywhere in the greater Chicago area, including Cook, Lake and DuPage counties, gather your information and call us.